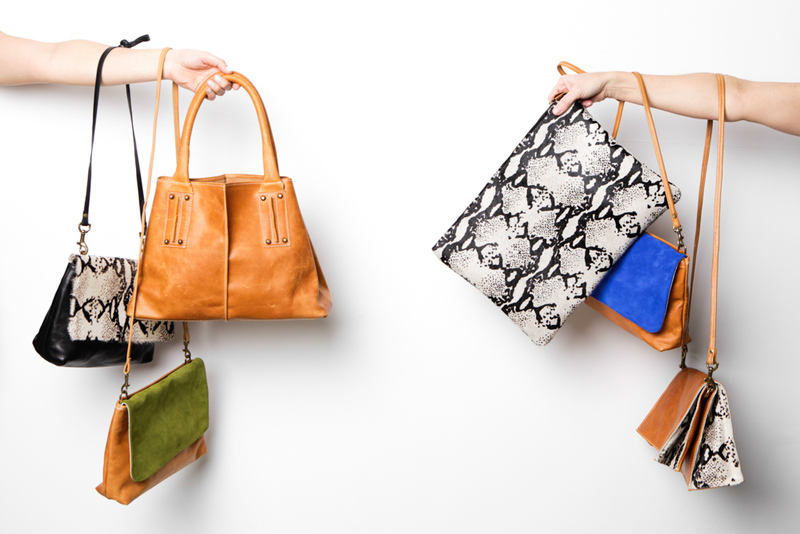 Ceri Hoover’s signature unfussy handbags are redefining modern chic in Music City and across the country. 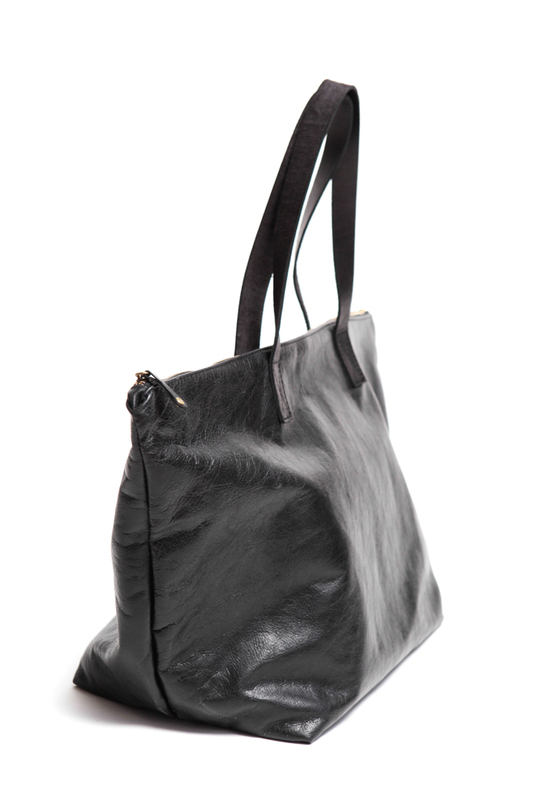 Several years ago, Ceri Hoover accidentally created a handbag. In February, her bags were carried by every 2015 Sports Illustrated Swimsuit Issue model at the magazine’s Nashville launch event. This meteoric rise isn’t the result of hype, nor is it a fad. 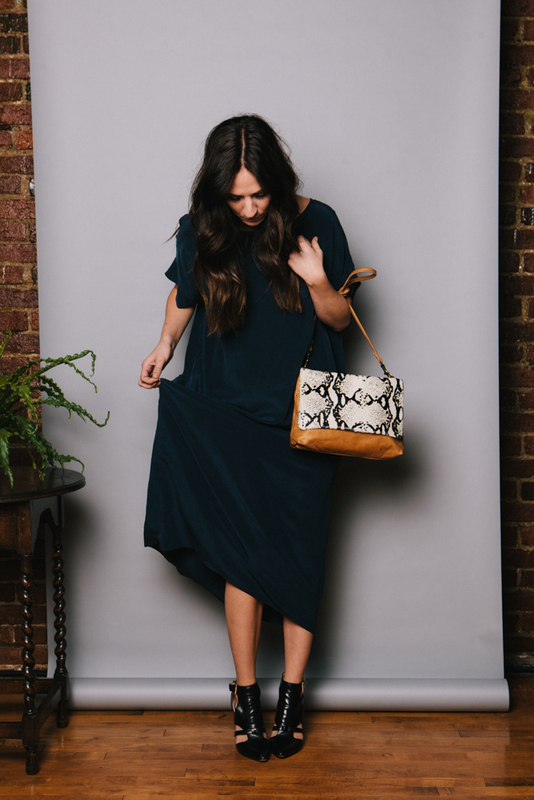 Ceri Hoover bags are the real deal: simply designed, impeccably crafted, and available at real-girl prices. Ceri (rhymes with Mary) is the real deal, too—not only immensely talented, but also utterly likeable and charmingly humble. The fact that this is her life still baffles the hell out of Ceri, but she’s trying to get used to it. A Navy kid who grew up in North Carolina’s Outer Banks, Ceri settled in Seaside, Florida, where she met and married her husband, Craige. Soon after the arrival of their son, Luke, now six, they decided it was time to move to a bigger city. With Craige growing up outside of Nashville and Ceri being inexplicably drawn to the city since childhood, there was no question about where they would relocate. There may have been another step or two in there, but the company’s evolution was nearly that straightforward. After people began snapping up every design she posted online, stores clamored to carry her bags (about two hundred stores at last count). To give her more workspace—and shoppers a hands-on experience—Ceri opened her own studio two years ago in Nashville’s design mecca of Marathon Village. 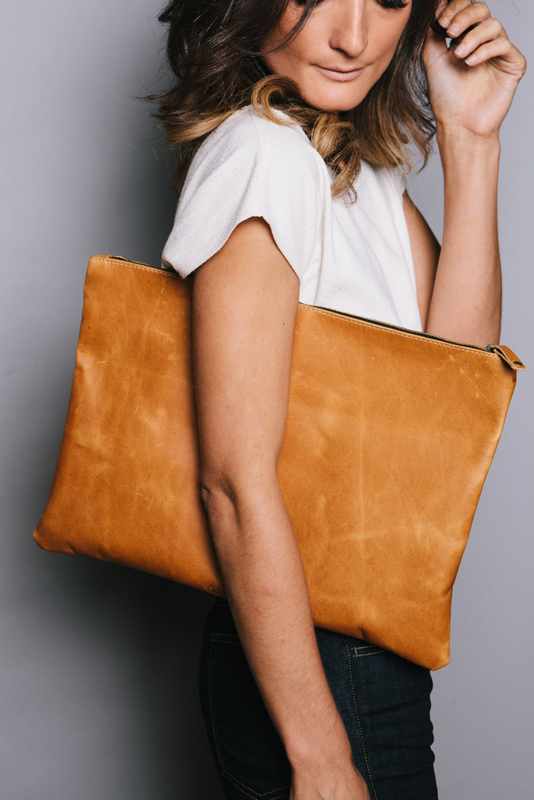 From here, she creates bags with clean lines that let the quality, texture, and color of the leather speak for themselves. 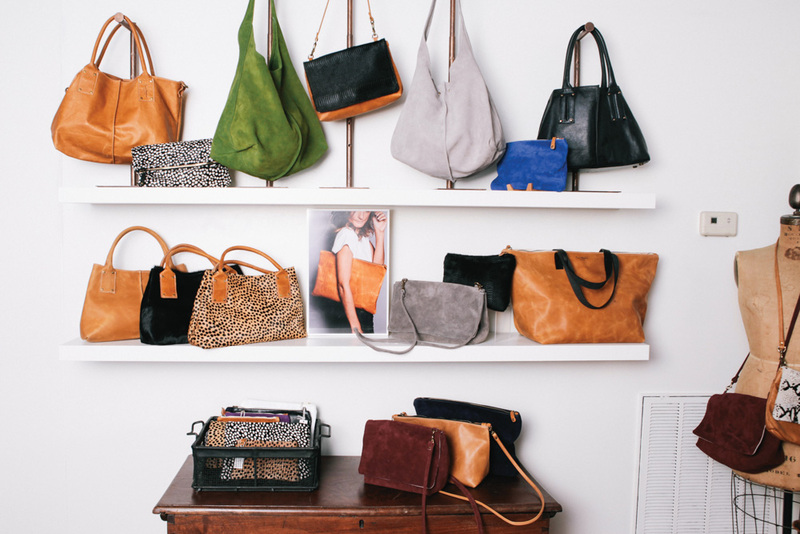 “I want them to be like the bags you pull out of your grandmother’s closet and wear for the rest of your life, getting compliments every time,” she explains. I want them to be like the bags you pull out of your grandmother’s closet and wear for the rest of your life, getting compliments every time. 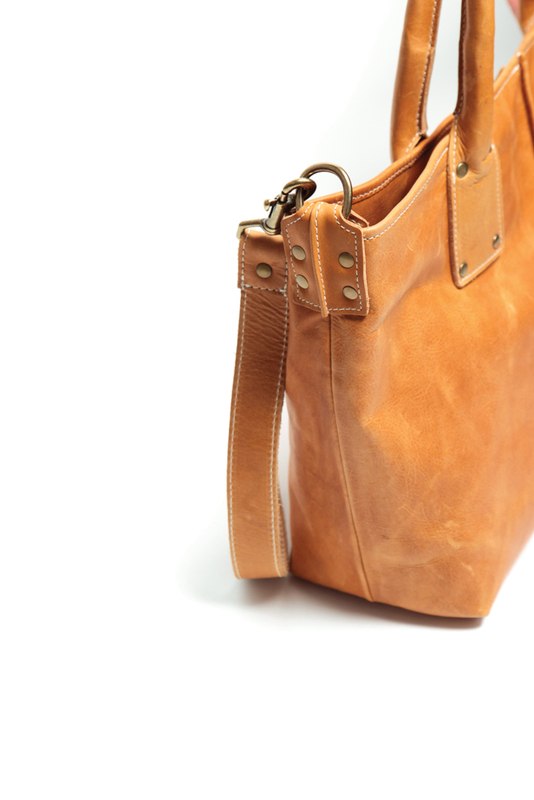 Thanks to the exceptional leather she works with, her bags could indeed become heirloom pieces. Ceri is open to working with other materials at some point, but leather clearly lights her fire. She talks about the way it looks and smells as though she’s describing a lover and says she knows exactly how it moves on her sewing machine. Plus, she appreciates that leather is a lot like Nashville itself: classic with a little edge. Her minimalistic designs, sometimes absent even a fastener, are a reflection of Ceri’s own low-key aesthetic. Judging by the company’s sales, this “less is more” philosophy certainly seems to resonate with other women. 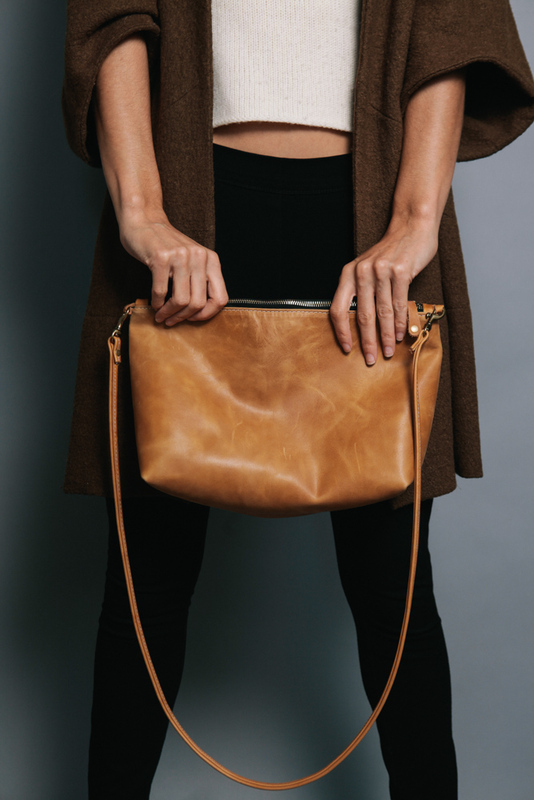 Ceri’s personal favorite, a simple pintuck clutch, is connecting with customers in a big way, thanks to details like the namesake pintucking down both sides and snapless, fold-over styling. Thank goodness for that, says friend and frequent customer Sunny Spyridon. A fan of Ceri’s bags before she was a fan of the woman, Sunny was hooked with her very first purchase: a Hadley bag in cobalt suede and camel leather. 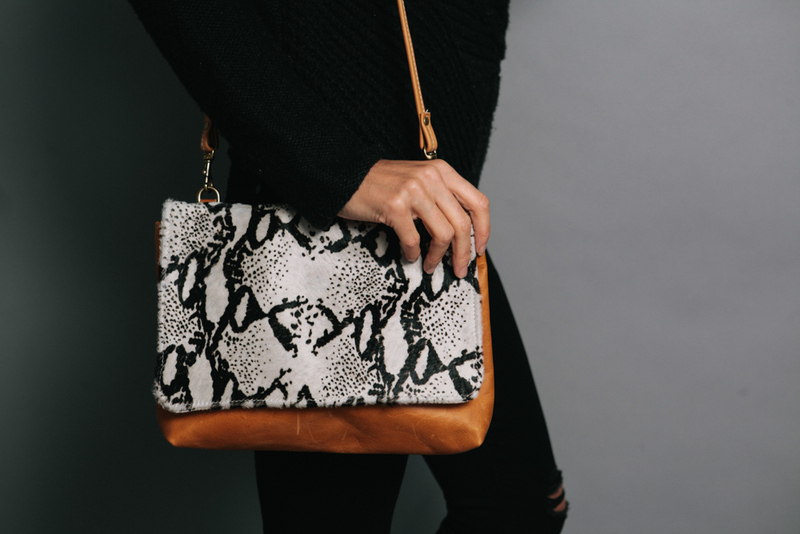 “Everywhere I wore it, people commented on that bag,” she recalls. Being one of only five designers in Nashville asked to participate was a huge compliment, Ceri says. The fact that the request came from Sunny—who Ceri describes as the epitome of the classic, stylish woman she designs for—was a bonus. 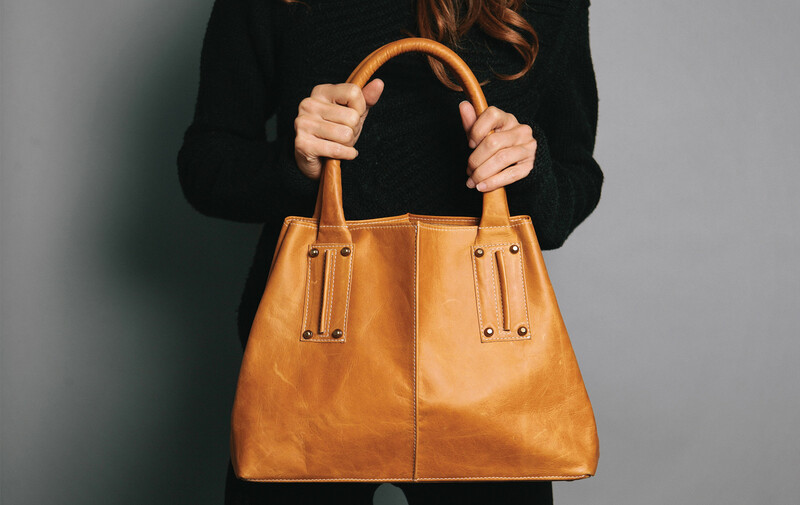 And she doesn’t exactly mind that her Sayville Weekender tote, purchased for each of the twenty-six models, was front and center for the event. The 2015 Swimsuit Issue celebration, which took place February 11 and 12, was also a big coup for Nashville, a city that seems to be on everyone’s radar. It’s attracting new chefs, designers, and artists to an already legendary music culture. The result, Ceri says, is an atmosphere that benefits everyone who’s part of that creative scene. Inspiration for her designs can come from anywhere, especially in Nashville. From art galleries to everyday objects like vases, there’s no “off” button for the design part of her brain. It can be tiring, but it’s also what leads her to the next big thing. No doubt fans will greet the new bag with the same enthusiasm they have her previous designs. The near-instant acclaim Ceri experienced, from both fashion big wigs and “normal” women, has been slightly overwhelming for the admitted introvert. But she’s also humbled and grateful for the reception, especially when she hears that her bootstrap story has inspired others. “I love that people are starting ventures of their own because of self-taught people like me,” she says. Further proving that self-taught isn’t second best, Ceri was named this year’s winner of the Nashville Fashion Forward Fund. The award, presented by the Community Foundation of Middle Tennessee, came as a huge shock to her. “It never crossed my mind—ever—that I would win an award in the design world,” she confesses. The honor comes with a bit of prize money, which she intends to put toward a trip to Italy to research shoe manufacturers. Because—surprise—that’s an up-and-coming big thing. Shoes are a personal passion (“I love them so much,” she gushes), but she also believes they’re a natural expansion for her product line. The designs, of course, will be minimalistic but high quality, a combination that’s increasingly rare. And she just happens to have plenty of leather lying around for her future collection of flats, loafers, clogs, and flip-flops.